Today is the day when we finally can share with you the major changes on which we have been working on. From next week you would be able to choose your subscription from our 5 prancing plans. We extended our offer to make you pay only for the features you need. Read the article below to discover which plan is the best fit for you. If you are already subscribing the Basic or Business Plan and some features (that you are using) extend your current subscription, you will be automatically informed about. This gives you the ability do decide whenever you want to upgrade your plan or limit your access to particular features. As an only user from your organization, you can use InStream in the Free or Freelancer plans. To be able to use our system with your teammates you need to subscribe our Basic, Business or Premium plans. You can add your contacts (both people and companies) manually or import them on our platform from a CSV file. Once you do it you can find all your contacts in the contacts’ tab. In the Free Plan, you can add up to 100 contacts – no matter if you have 30 people and 70 companies or the other any around, the sum of them have to be less than 100. 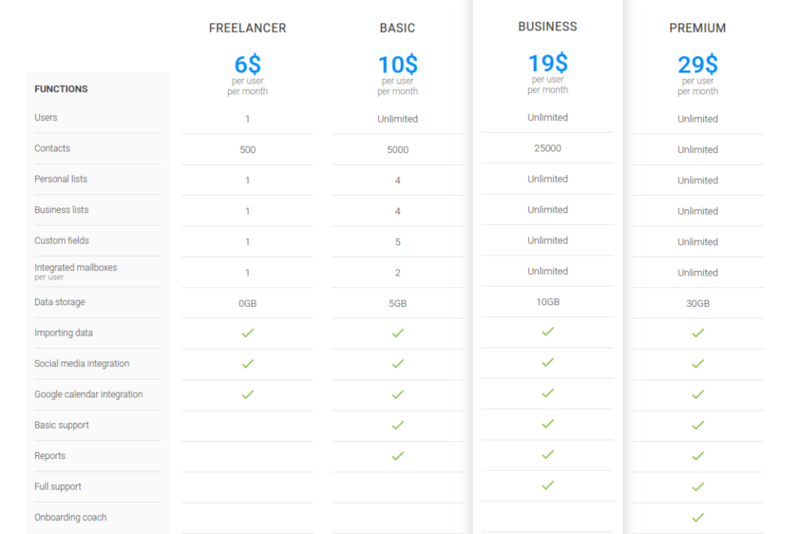 If you are subscribing the Freelancer plan you can have 500 contacts, in the Basic Plan 5 000, and in the Business Plan you can store up to 25 000. Additionally, in the Premium Plan, you can have unlimited number of contacts. 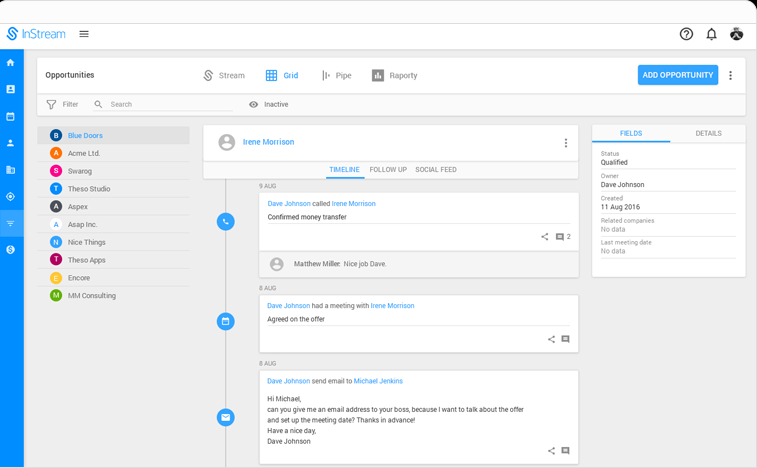 In InStream, you can build lists on which you will store particular threads of conversations with your business contacts and clients. However, those lists are not available in the Free Plan. 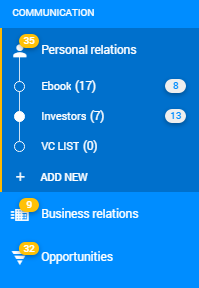 In the Freelancer Plan, you can have 1 Personal list (on which you will store your threads of conversation with people) and 1 Business list (on which you can collect all communication with companies). In the Basic Plan, you can have 4 Personal and 4 Business lists. Additionally, if you need to have access to unlimited number of lists you should subscribe Business or Premium Plan. 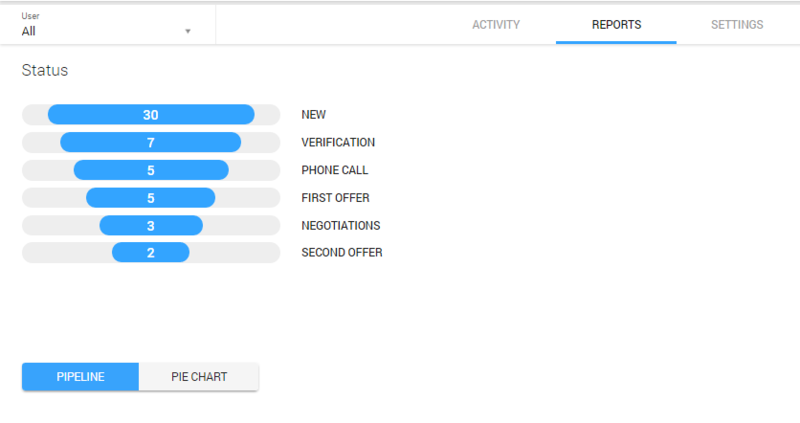 By adding your custom fields you can get the immediate overview of any important information about your contacts. Added custom field on one contact is visible on all your contacts. Additionally, you can use your custom fields to filter your contacts. You can’t add custom fields in the Free Plan, but you can add 1 additional field in the Freelancer Plan, and 5 fields in the Basic Plan. 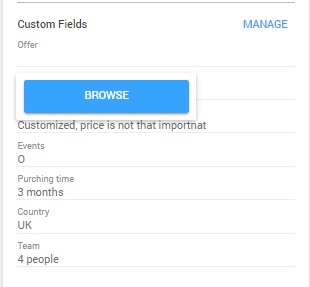 Additionally, in the Business and Premium plans, you can add unlimited number of custom fields. You can integrate your mailbox with our system to send and receive emails directly from InStream. Each user can integrate 1 mailbox in the Freelancer Plan, and 2 mailboxes in the Basic Plans. Furthermore, in the Business and Premium Plans you can integrate our system with unlimited number of mailboxes. You can upload on InStream any file you need. This option makes sharing files with your coworkers easier and helps you keep all your data in order. You can learn how to upload files on InStream here. In the Free and Freelancer plan, you can’t upload your files on InStream. Additionally, in the Basic Plan, you can upload up to 5GB, in the Business Plan 10GB, and in the Premium Plan up to 30GB. You can import your contacts to InStream from your CSV file. This function works in every Plan. You can integrate InStream with social media in all Plans except the Free Plan. In InStream, you can manage your time with an easy-to-use online calendar which you can integrate with Google Calendar. 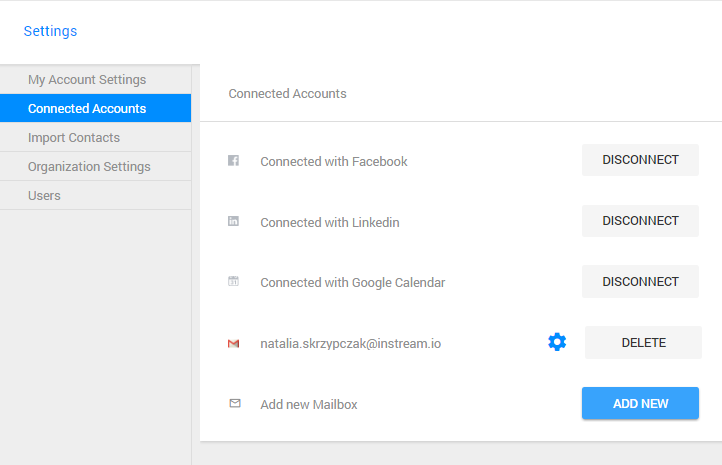 You can integrate InStream with Google Calendar in all Plans except the Free Plan. We really take care of our users, so that we provide them with the support they need. In the Free and Freelancer plans, we are ready to answer your questions on live chat and via email. Additionally, if you are subscribing the Basic Plan we can also have a short skype call with you. What’s more, in the Business and Premium Plans we provide our users with full support which include live chat, emails, phone calls, demos (via Skype) and webinars. The Premium users are also going to get the support while implementing our system. In InStream, we give you access to reports powered by automatically collected data. Thanks to that you can get your insights, which will help you improve your sales process and reach your short and long term goals. Reports are available in the Basic, Business and Premium Plans.